Henry Wadsworth Longfellow described music as the universal language. Recently, singers of varying talent and training had a unique opportunity to combine voices across distance and time. 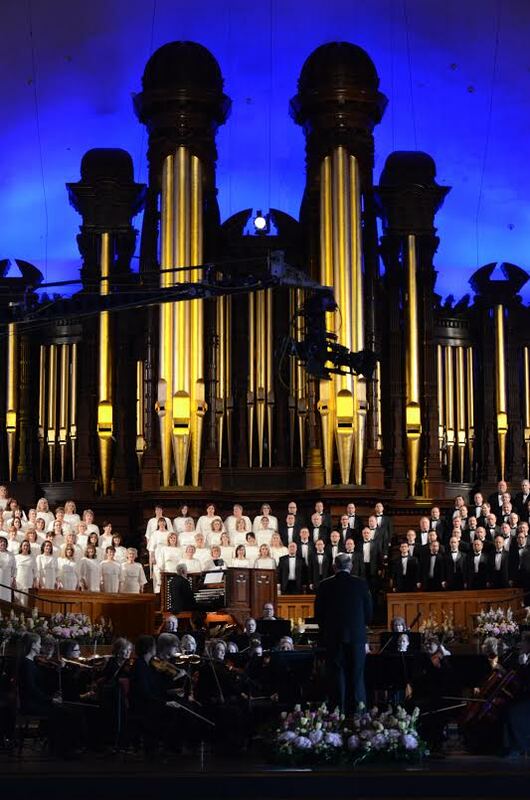 Earlier this year, the Mormon Tabernacle Choir called for online submissions to create a virtual performance of George Frideric Handel’s “Hallelujah Chorus” from the Messiah. The Mormon Tabernacle Choir recognized Eric Whitacre, who initiated a virtual choir trend, as the inspiration for this performance. A virtual choir is a recent Internet phenomenon. Thousands of people record themselves singing a song; those recordings are then uploaded to YouTube and joined together as a choir. According to its website, the purpose of the LDS Church’s 2016 Easter initiative was to invite Christians around the world to come together in singing praises and proclaiming that Jesus Christ the Messiah lives. Irrespective of culture or creed, people were invited to join in the chorus celebrating the birth, life, death and resurrection of Jesus Christ. On March 25, 2016, Good Friday, the finished video was released. Sister Smart recalls the early Sunday morning they recorded. Halls typically quiet filled with rows of people young and old. A buzz and excitement filled the air. The choir posted instructional videos to aid participants. Peter and Evynne Hollens, both trained singing professionals, produced practice videos to help submitters. Over 2,500 video submissions arrived from all over the world. Celebrity participants included Donny Osmond, Alex Boye, Madilyn Paige and Firefly. Ensembles included Vocal Point from Brigham Young University, Noteworthy, and Resonance Vocal Ensemble from San Luis Obispo, California. Sister Cox didn’t have the joined voices of her choir mates, and when she played back the recording online she heard only her voice without the music. She says it was inspiring to watch the technological feat of combining all of the unaccompanied voices with the choir and orchestra in concert. It gave her a taste of what the heavenly choir may be like. Sister Cox’s vulnerability and Sister Smart’s sense of synergy are at the heart of Longfellow’s description of the universality of music. Certainly, events such as the Virtual Hallelujah Chorus help bring Christians together.